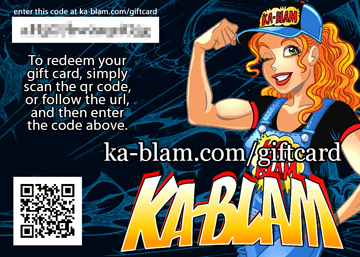 Ka-Blam Gift Cards can be purchased in any amount you wish. 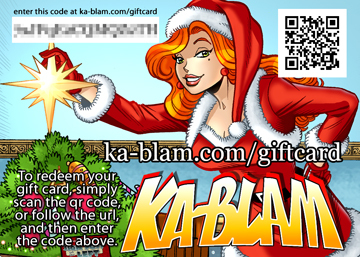 The Standard Edition and Holiday Edition cards are suitable for gift-giving and will be mailed via USPS in an invitation-sized envelope that can be personalized with a message from you. 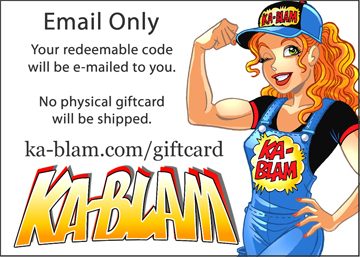 The Email Only edition is just the Gift redemption code sent via email and does not come with a physical card.